but it has white decurrent gills…. 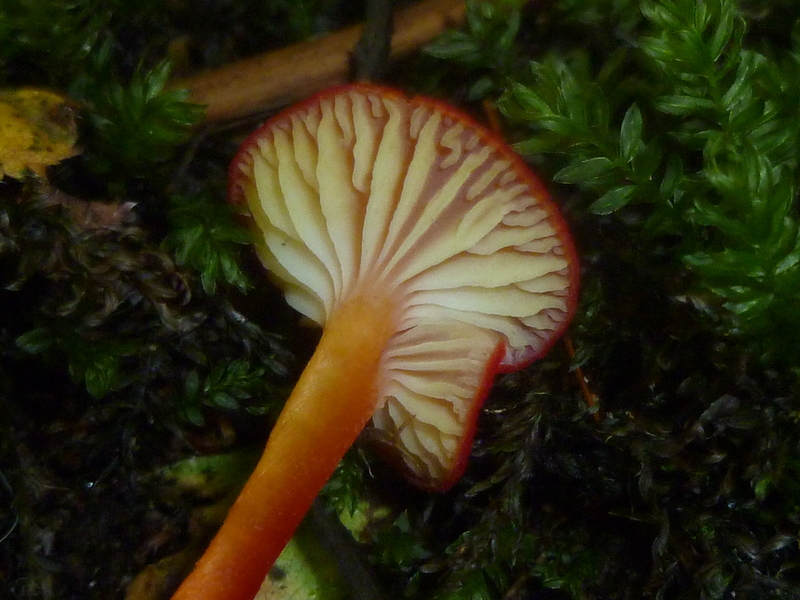 Home › Forums › HELP WITH ID’s › but it has white decurrent gills…. This topic contains 1 reply, has 2 voices, and was last updated by John R 2 years, 7 months ago. 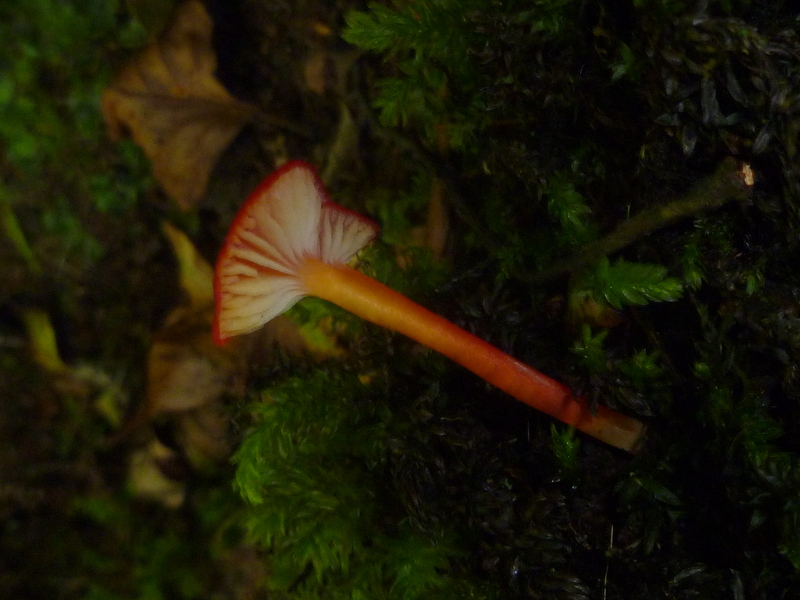 OK. we find a fungi growing on moss….well, let’s just say Simkins and I both spotted it at the same time. 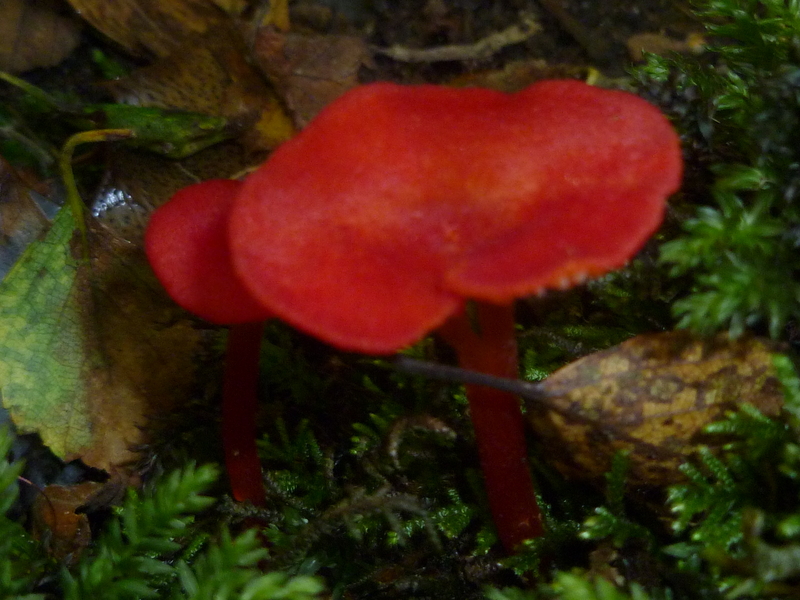 Scarlet…intense red….but with very white decurrent gills…not crowded. Gotta be a wax-cap…right. Red stipe and about 70mm high by cap size 30 mm. dia. Four or five on moss. OK. What is it?